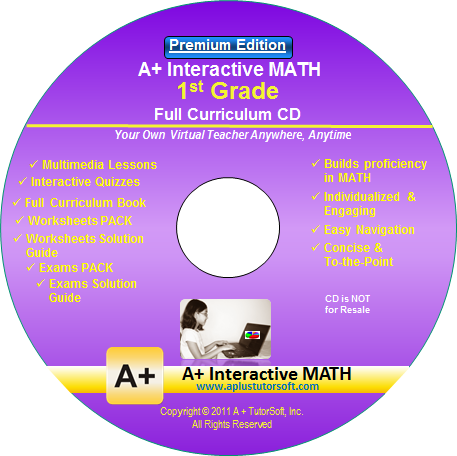 I received the Premium Edition A+ Interactive MATH 1st Grade Full Curriculum CD software for my Windows PC from A+ TutorSoft, Inc. to review with my daughter who has just begun working at a first grade arithmetic level. When you log on and buy the A+ TutorSoft curriculum, use coupon code: SPOFFER50 to receive a huge discount A+ TutorSoft, Inc. is offering to my readers of 50% off your purchase price. This offer is good through the end of March, 2013. A+ Interactive MATH is a full curriculum that includes everything you need. We both really liked the colorful presentation of the on-screen lessons as well as the encouragement that kept it positive throughout with “Good job” being exclaimed from the program often. I also liked that I could print off worksheets and tests. I also love that once it is loaded on the computer, there is no need to re-load or look for the actual CD. It’s there and ready to go, which means the lessons become very portable for on-the-go learning without the need for an internet connection. This comes in handy when waiting for an older sibling at a dance lesson, etc. as all you need is the laptop and not a stack of workbooks, teacher guides, pencils and more. To me, that’s a huge plus. We preferred keeping it mostly to the instructor-led computer program which I was hoping would be completely hands-off for me as the teacher, and I think it’s set up so that older students even as young as second grade could probably complete the lessons on their own by just following the instruction on the screen. 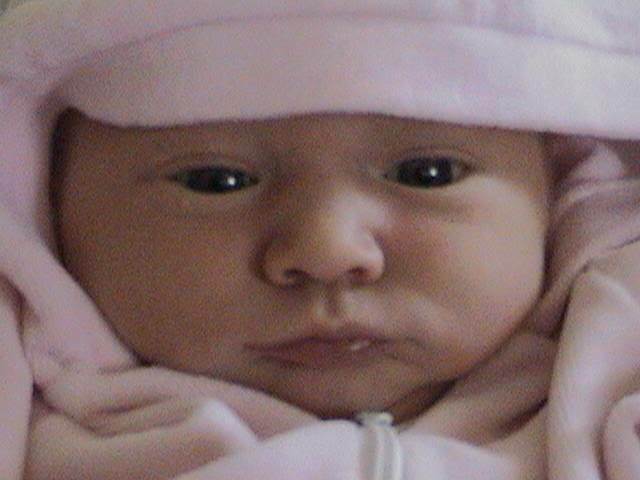 However, with my daughter being on the younger end and newly introduced to 1st grade math, I found that sitting with her helped to reinforce what was being taught as I could stop and reiterate concepts that I could see she wasn’t quite understanding from her first encounter with the lesson. Other concepts, however, came easier and she completed several lessons on her own with just the computer-led instruction, allowing more hands-off for me. I did keep her doing the work on my laptop in the main living area of our house where I could keep half an ear out to listen for the on-screen instructor to say, "I'm sorry" or "Try again". If I heard that a few times in a row, I knew it was time to come reinforce the concept she was struggling with. A+ TutorSoft makes reinforcing lessons easy as I could replay the lesson entirely, just replay what my daughter needed to re-watch and hear, print off worksheets to practice further or to refer to the entire text and teacher manual helps that was included in the package. Compare the difference between the standard v. premium editions here. The company also offers an online version. 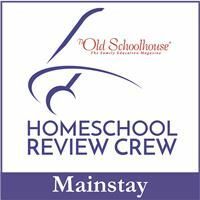 One of the main differences between the CD software and the online version is that while the CD version provides the ability for parents to easily check and track your child’s work, it does not automatically track the assignment grades like the online version does. The CD version, which I reviewed, is designed to give parents more involvement in the child’s learning and overseeing the lessons. The CD version did allow me the option to manually input test scores to track and generate reports. The company currently has available math curriculum for Grade 1 through Grade 6 and then offers Pre-Algebra and Algebra I. The CD software version that I received is intended for use on a Windows-based computer running XP, Vista, Windows 2000 or Windows 7. However, A+TutorSoft does provide hints on their site for how users have also made it work on Apple computers. I received the CD software for 1st grade. I loaded it onto my computer and then set up the parent control panel and added my daughter as a student. There was a complete tutorial to view which made this process extremely easy, and there’s files that come loaded onto the CD to provide help if necessary as well as people at A+ TutorSoft support ready and willing to help. I didn't need to use this help, but it was good to know it was there if I needed it. The set-up process didn’t take long at all, but I would recommend setting it up on the computer your child plans to use prior to starting the actual lesson time just so you’re ready to go without any downtime for set up during what could be valuable learning time. My daughter was thrilled with the colorful interactive lesson presentations. As a side note: I really liked the teacher’s voice. It was a female instructor who was quite encouraging and easy to listen to throughout the lessons. It probably took about 20 minutes for my daughter to complete one lesson, though she always wanted to do more. Some days she did one or two lessons while other days she went to town completing several back to back. The program also allows you to print out anything that is presented. I printed out some worksheets to have my daughter complete, and she got a kick out of printing off the certificates of accomplishment at the end of each lesson. If you want, you can print every lesson and every exam and create your own work text, complete with the option to print answer keys as well. Thanks for the great review. Kathy B (A+ TutorSoft Social Media Manager and fellow TOS team member).